It started in New York’s Wall Street district, then spreaded northward to Bay Street in Toronto, and even made it all the way to Tokyo. 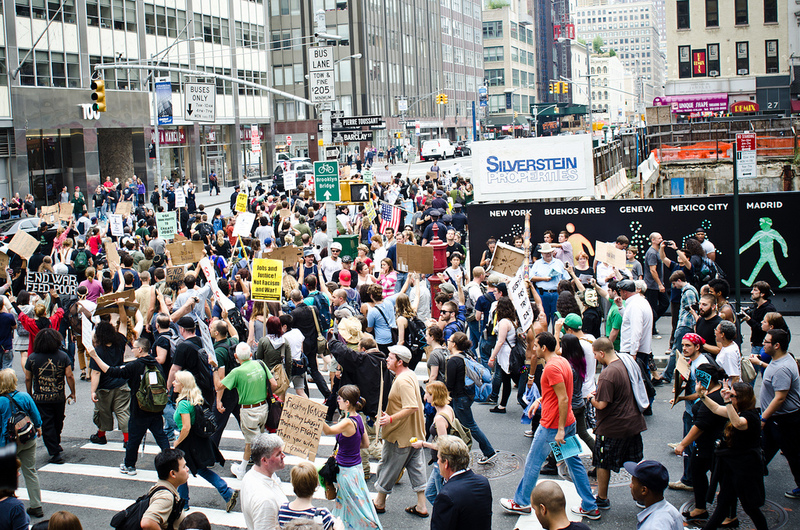 These are only few of the cities participating in this new global movement we call “Occupy.” The movement has taken the world by storm and shows no sign of slowing down. As of today, what started out as “Occupy Wall Street” has reached its 37th day, transcending borders and bounderies across the globe. I look fondly upon this new movement as it brings the world together, united against the 1% who are mostly responsible for this economic situation that we continue to face. However, there is a sorrow that I can associate with this Occupy movement. This sorrow that I speak of, is the absence of Vietnam and China in this global movement. As the whole world rises to condemn the priviledged and powerful for their failure to manage these said powers and priviledges, both the people of Vietnam and China are being shut out of this movement. It is true that there is a major ambiguity when trying to distinguish what the protestors really want. There are so many problems with the way this world economic system is run that we have yet been able to single out the flaws. Everyone who participates has their own grievances. 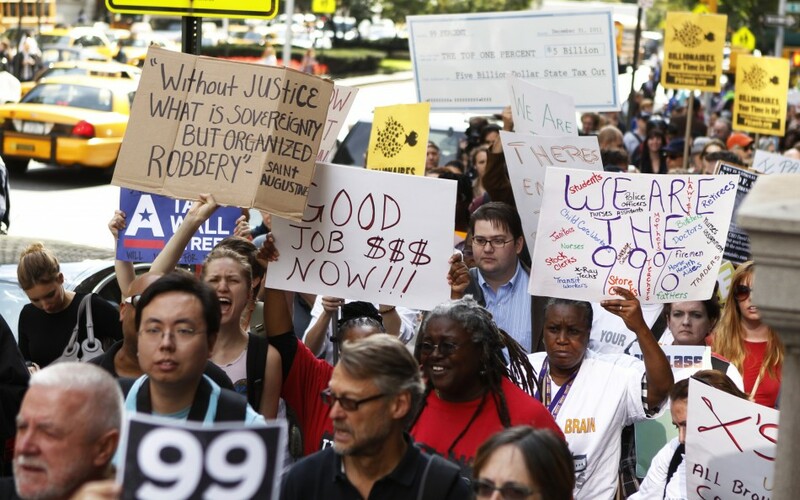 Protestors in New York, for example, would have different criticisms than protestors in Tokyo. What we all know, however, is that the status quo is inadequate, and that a change must come now. Hanoi and Beijing may not have the same issues as the people in New York or Indonesia, but despite that, I can think of a few things we can blame the government of these countries for. In fact, the list of grievances for Vietnam and China are even greater than these democratic countries, and their participation may be even more substantial. Imagine what would happen if the people of, not just Vietnam, but China and Myanmar participated in their own Occupy protests. If the people of Hanoi were to stand up against the VCP in their Occupy movements, it would be more than just corruption that was addressed. Abuse of human rights, government theft of citizens’ lands, and treason to the Chinese Communist Party (in Vietnam’s case) would be on the top of the list, and only to name a few. It is for these reasons that Beijing and Hanoi are trying extremely hard to shield this movement from their own people. If word ever reached the people of Vietnam, China, and Myanmar, that everyone around the them was rising up to protest their respective leaders, and that they were not alone in this struggle for justice, the outcome would be amazing. Sadly, that is just not the case. The Vietnamese government is pouring all their efforts to prevent what I just described from becoming a reality. They’ve successfully eviscerated the Arab Spring from Vietnamese consciousness, and will be doing the same for the Occupy movement. So for now, we just need to hope, and ask the question: What about Hanoi? The Communist Party has made another “bold” move in a newest attempt to show off their pride, arrogance, and stupidity. This latest episode involves the U.S., who wanted to provide funding for the repatriation of soldiers who have lost their lives in the Vietnam War. 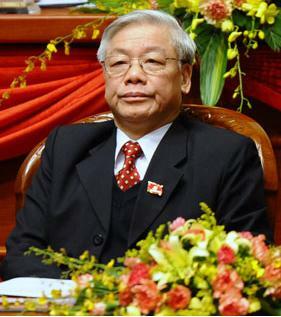 The United States was counting on the Vietnamese government to cooperate with them on a nationwide search for M.I.A. soldiers during the civil war period. The U.S. promised to pledge $1 million in financial aid to the Vietnamese government on this recovery project, Senator Jim Webb said. Unfortunately, the Vietnamese government declined this offer, making public their refusal to search for any South Vietnamese soldiers. After 36 years, the bitterness that the Communists have been holding towards South Vietnamese soldiers has still not dissipated. For reasons unknown, the Vietnamese Communists remain spiteful towards the people of South Vietnam, even to this day. Memories of the war is apparently still haunting the Communist Party, preventing them from letting go of the past. This unnecessary hatred continues to thwart any real chances for the country to move forward. It’s been 36 years since the end of the war, why are the Communists still so angry? For years now, the Communist Party has been trying to move closer to the U.S., yet their ignorance continues to hurt their efforts. Even the U.S. has made efforts to improve relations with Vietnam. 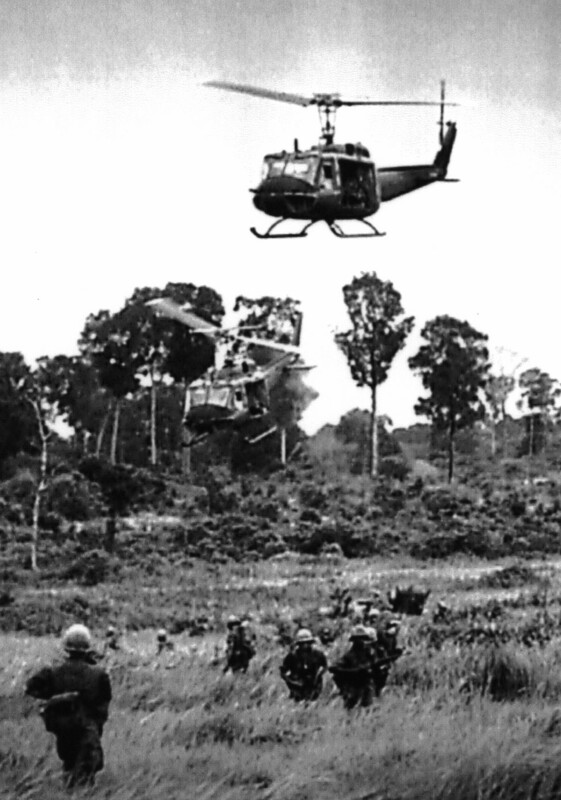 This recovery effort was supposed to be a forward step in U.S.-Vietnam. Sadly, the Vietnamese Communists cannot let go of the past, still clinging on to the brief moment of glory when they defeated America in war. It is a sad shame that the Communist Party can’t even commemorate the dead. These South Vietnamese soldier have passed away for decades, yet the Communists are still afraid of their influence. The Vietnamese Communists have been saying for years that they are trying to become more open, respectful, and dignified. It’s all a load of bull, we know that already. However, this recent decision to disrespect a nameless soldier from decades past further reinforces the notion that the Communist Party are a bunch of arrogant and spiteful cowards. They want to appear dignified in the eyes of the world, yet they can’t comprehend the consequences that would arise from insulting the memories of fallen soldiers. Regardless what side these soldiers fought for, they are still Vietnamese. They are only enemies through war, a war that ended three decades ago moreover. It should not matter whether they were friend or foe, commemorating the life of a fallen soldier shows signs of respect and nobility. The Communists wanted to look respectful and noble in the eyes of the world, but are too dumb to make it work. What could they have lost from honoring these soldiers the same way they would honor their own? If anything, they could have gained a whole immensely from their participation. Not only will they gain a more positive image through the eyes of the U.S. and the world, but the U.S. even offered to fund this project for them. With their refusal, the U.S. has halted funding for the project, and the Communists are stuck where they have always been. Subservient to China, and on the verge of bankruptcy. The Vietnam War. Arguably the most controversial conflict that America had ever gotten herself into. The outcome of the war should be no secret to anybody, we lost, big time. From the American entrance into Vietnam in 1963 to their humiliating exit in 1972, the United States had been fighting a losing war, or so they thought. Many in the U.S. during this era called Vietnam a quagmire, a lost cause, a war that can’t be won. These kinds of descriptions have convinced us for decades that by moving into Vietnam, the U.S. was hurling itself into impending doom. However, a stark contrast arises from what the media falsely described and what actually went on in the front lines. Despite what historians, analysts, and the media have claimed for the past five decades, the Vietnam War was not an impossible war. The U.S. had many opportunities for victory prior to their entry, during their engagement, and even after they’ve pulled out. If one were to look at the war from a more hands on point of view, one would see that even though the U.S. lost the war politically, the American soldiers, along with their South Vietnamese allies, were actually victorious on the battlefield. The U.S. Army and the A.R.V.N. fought brilliantly, defeating the N.V.A. and the Viet Cong in many confrontations. For instance, the famous Tet Offensive saw the forces of the North ransack and bombard the city of Saigon with heavy artillery and thunderous force. Even with the ambitious nature of this onslaught, the Viet Cong were conclusively defeated in this attack, driven out of Saigon, and resulted in the failure of the North Vietnamese operation. The successful warding of the North Vietnamese from Saigon in the Tet Offensive is a good example of how the Americans, despite winning the battles, could not prevent the North from breaking their will. 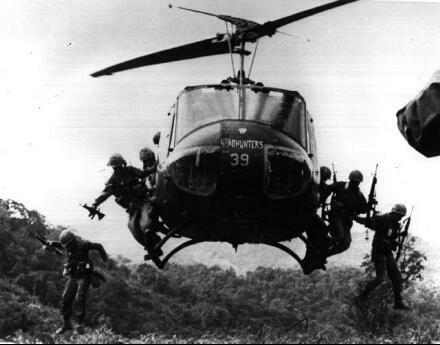 On many occasions, the allied forces of South Vietnam and the U.S. had crushed the Communists in battle. Even so, the U.S. could not maintain their high spirits and their determination to fight. As a result, the Americans began to accept defeat, not realizing how much strain they and A.R.V.N. had put on the Communists. It is true that the U.S. should never have entered Vietnam in the first place. They knew nothing about Vietnam, and had no business messing with another’s domestic affairs. 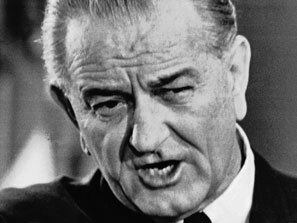 Their involvement put South Vietnam in a very difficult position in the eyes of the world, giving North Vietnam the ammunition to demonize them. Even with this obstacle, victory over the Communists was still a real possibility. As I have pointed out before, the Americans, as well as the South Vietnamese, were actually more successful than the Communists were in the field of battle. The difference maker was the breaking of the American will, their subsequent withdrawal, and the cutting of all American aid at the end of the war. The ideal recipe for victory would have been for the Americans to not have entered at all. If the U.S. had just supported South Vietnam morally and financially, letting them deal with the Communists in their own way, victory may have come much quicker, and the war may have never been an American quagmire. Even after the U.S. made the mistake of joining, they could still have defeated the Communists, for their military capabilities were much superior to the North Vietnamese, making them victorious on many confrontations. In the last scenario, the Americans should still have funded South Vietnam’s war efforts after their withdrawal, instead of accepting defeat and leaving the South to crumble. It was America’s ignorance of Vietnam that led to such a disastrous outcome. 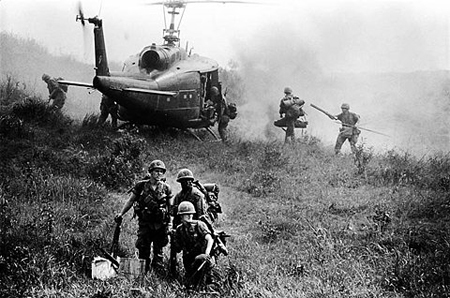 The Americans knew nothing of Vietnam, as a result, they had made all the wrong moves in dealing with the war. For every major mistake that they had made, there was a solution that could have been acted upon. Unfortunately, the Americans could never understand the situation, ultimately leading them to the complete and utter failure that still reverberates in the hearts of the White House today. The war in Vietnam could have gone in a much different direction, America could have won. Sadly, the U.S. failed to understand their own capabilities and the capabilities of their allies. As a result, the chances were lost, and the victory never came. Vietnam has been struggling to deal with a number of major economic problems over the past year. The inflation rate of Vietnam’s currency, the dong, has been rapidly rising, while major corporations, such as shipbuilder Vinashin, hovers on the brink of bankruptcy. According to Bloomberg News (October 5, 2011), Vietnam’s inflation rate has exceeded 20%, becoming the highest of the 17 countries in Southeast Asia. The country is also facing big trade deficits, brewing difficulties in the banking industry, and continued decline in investor confidence. Many different causes can be attributed to Vietnam’s economic woes, but none are more prevalent than the corruption and poor, incompetent management that is the Vietnamese government. It is true that the world is at risk of facing another economic downturn and that many other countries are facing their own economic problems. However, in the case of Vietnam, the problem stems much deeper than the simple shortcomings of their monetary and fiscal policies. The problem is what happens behind the scenes of the Communist Party, and how atrociously the government is running the country. Analysts often describe Vietnam’s economy on the same level as other nations, as if the country was transparent and fair like its counterparts in the global market. Though this is the fair method of measurement, putting Vietnam on equal grounds with other more democratic countries, it fails to bring to light the real shortcomings of how Vietnam’s economy is run. It is not just the policies on the surface that is the cause of the downward spiral of Vietnam’s economy. The economic issues in Vietnam have less to do with the global market, and more with the leaders themselves. The Political Bureau of Vietnam, the country’s supreme governing body, plays a major role in what goes on inside Vietnam’s economy. They could care less about the health of their economy, their investors, or even the wellbeing of their own people. The only thing they care about is maintaining power and filling their own pockets with foreign investment money. It is a sad truth, but much of the money that should be circulating within the Vietnamese economy is actually flowing right into the bank accounts of Vietnam’s so-called leaders. Vietnam’s double-digit inflations and bankruptcy of major companies are all due to the fact that their powerful statesmen do not know how to run the economy. 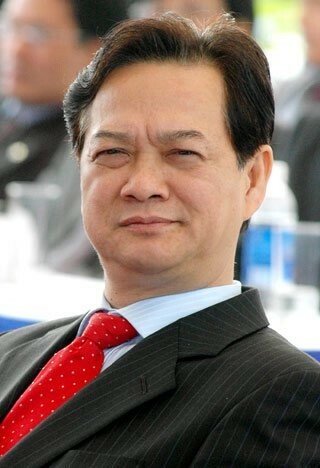 Nguyen Tan Dung has no business trying to shape Vietnam’s economic policy. He’s a billionaire, with no qualifications whatsoever, where does all the money come from? Men such as him are the reasons why China is so free to bully their way across the Eastern Sea. After all, the Chinese Communists are the ones paying off the Politburo in Vietnam, contributing to the repression of the Vietnamese people, and the woes of Vietnam’s economy. According to Spero News (September 26, 2011), over 2,000 Christian Redemptorists gathered in the cities of Hanoi and Ho Chi Minh City this week to pray for the safety and well-being of Vietnam’s political prisoners. Religious freedom, peace for the country, and the release of the detainees were all among the wishes of the people. It is not said whether the gathering was broken up by authorities or not, one could probably perceive this as a good sign. It would be naive of me to say that this event could spark a revolution in Vietnam, for this event is much too small for that. However, I will take the event for what it is, a positive act by the people. Besides the anti-China protests, now stifled by the Communist government, any forms of protests and gatherings in Vietnam rarely last. This religious gathering by Vietnamese Christians is probably no exception. Though there is no coverage of violent repression by security forces, it is almost definite that the police dispersed or even detained some individuals. Any talks of freedom in Vietnam are swiftly and forcefully crushed by the Vietnamese police, this time is no different. It is difficult for the Communists to lay charges to peaceful worshippers, but they always find a way around it. In the same Spero News article, interviews of everyday individuals in Vietnam bring to light some disturbing tactics used by the Party. Instead of outright detention of peoples of interest, the Communist Party arrests them secretly, in order to not draw attention to themselves. Religious figures are common victims of these kidnappings, for they hold influence among the population. Therefore, public detainments of these individuals would spark anger among the population, causing difficulties for the Communists. 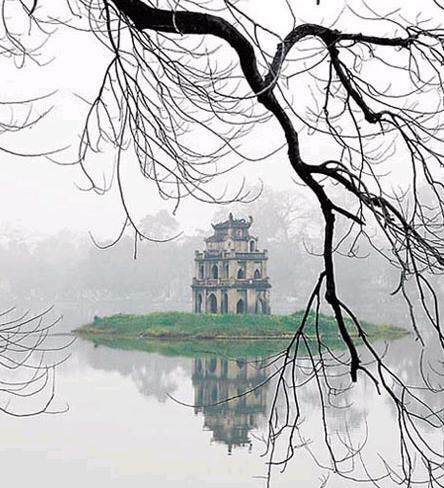 The prayers in the cities of Vietnam may not be a very strong political statement, the event itself is quite minor. However, it takes quite a bit of courage to go out and worship in a society where religion is a major target of the government. Not only that, but the prayers are for the freedom of religion and just treatment of detained religious leaders. This probably will not lead to a major movement that will overthrow the Communist Party of Vietnam, but it is still a noteworthy move in this struggle for freedom.